Snacking used to be viewed as a weakness. That's not true anymore. Grabbing some grub between meal times was something for the weak, who couldn't wait for breakfast, lunch or dinner. Or, it was a guilty pleasure, an indulgence. When your world finally quieted down, you owed yourself a treat. Today, many consumers are eating smaller main meals and ascribing to the five meals-a-day plan where snacks are planned into a person's daily nutrition requirements. This has created a whole new attitude toward snack foods, that they can be healthy parts of a daily diet. That includes what used to be called salty snacks, now better referred to as savory snacks – you know, chips and crackers. Snack makers are happy to embrace this new paradigm. But they must heed the emphasis on health. And there are two main approaches to health in the world of snack chips: putting healthy ingredients in and taking unhealthy ingredients out. Vegetables (and even some fruits) are among the positive ingredients being worked into snack chips in new ways. 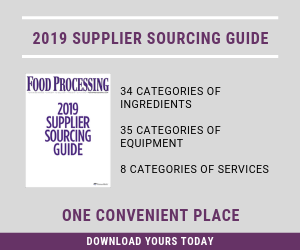 And while it's hard to find a snack with trans fats anymore, sodium reduction leads the "out" list and remains a work in progress for many processors – but a battle for which there are new weapons. One out of every five eating occasions is a snack, according to the NPD Group's "Snacking in America" report. Putting it another way, as "meal occasions," snacks are within a couple percentage points of breakfast, dinner and lunch (in that order; see table). The NPD report also breaks snack eating occasions into mid-morning, mid-afternoon and evening snacks – occasions that food processors may want to target. NPD also found people with the healthiest overall diets snack the most; those with the least healthy diets snack least. Food makers ranging from the giants to the boutiques are jumping into the forefront and are not letting the three main meals keep them in the background anymore. As mealtime habits change, so do the times we snack. The strongest growth in the "Snacking in America" report shows that the largest increase is in morning. Evening and afternoon nibbles have shown declines while there is an increase of 22 morning snacks per person since 2002, the report said. It's becoming a world of mindful and holistic snacking. It is part of the new daily routine and the and there is a search not just for new flavors, but also textures. Yogurt, especially of the Greek variety have made rapid rises and not just in the a.m. any longer. "As Chobani continues to push the boundaries of yogurt consumption in America, we see the opportunity to introduce yogurt as a snack," said John Heath, Chobani's senior vice president of innovations. "In January 2013, we introduced Chobani Bite to offer a product designed specifically to cater to the afternoon and evening snacking occasions." The Bite product comes with distinct ingredients like figs and chocolate as consumers look for something to sink their teeth into to satisfy the mouthfeel smooth yogurt doesn't deliver, Chobani said. Chobani Bite also contains 8 grams of protein to help stave off hunger pangs and comes in four flavors: Caramel with Pineapple, Coffee with Dark Chocolate Chips, Fig with Orange Zest and Raspberry with Dark Chocolate Chips. "There is definitely a growing trend of healthful snacking as more Americans are exposed to the benefits of eating smaller meals more frequently throughout the day," Heath said. "Our perception of snacking has also shifted from a guilt-ridden activity done in the privacy of the pantry to a conscious, regular part of the daily meal plan. With 100 calories and 8 grams of protein per cup, Chobani Bite is a convenient, nutritious option that caters to this modern mindset. Chobani Bite's crave-worthy flavors prove that healthy can also be tasty and were designed to be enjoyed when hunger strikes in the afternoon or evening hours." Food processors are creating snacks from raw materials seemingly unheard of in years gone by, such as beans and fruits. Simply 7 Snacks is one of those companies. As the name implies, it was founded on seven principles for healthier snacking: 1. Zero trans fat and cholesterol; 2. No artificial colors or flavors, 3. No additives or preservatives, 4. Gluten-free ingredients, 5. All-natural recipes, 6. Simple ingredients and 7. Simply delicious. What it does have are chips made out of pomegranate (with potato starch), hummus (technically chickpea flour) and lentils. "Our new flavors are Lentil Jalapeno and Hummus Roasted Red Pepper," says Paul Albrecht, vice president. "We have always wanted to release a Roasted Red Pepper Hummus Chip and a spicy Lentil Chip, but wanted to wait to make sure we got the flavors exactly right. We are especially excited about these new flavors because of growing interest in spicy snacks and the fact that Roasted Red Pepper is the most popular flavored hummus on the market." The pomegranate has the halo of a "superfruit" and continues to have consumer interest. Simply 7's line of pomegranate chips have the sweetness and health of the fruit, marketing materials say, along with natural spices and seasoning. There are even special times of year to keep an eye out for special editions. "We have a Seasonal Flavor that is only going to be available for Christmas, Valentine's Day and Mother's Day which is Pomegranate Dark Chocolate," Albrecht adds. "We have watched the growing pomegranate trend with great interest, and realized we were in the perfect position to do something with pomegranates that no one else has done. Simply7 is committed to bringing new and unique items into the snack aisle, and we think our Pomegranate Chips offer consumers an exciting version of a food." If your mother ordered you to eat your vegetables, you can ingest them as chips ranging from sweet potato to okra and kale and red radish chips. Beanitos, Austin, Texas, replaces corn with white, black and pinto beans in its line of chips. Newest products are its new White Bean Tortilla Chips in Restaurant Style and Nacho Cheese. "With our new white bean chips, you've got an incredible eating experience — the perfect, restaurant style, tortilla chip and amazing taste with the powerful nutrition of beans" said Doug Foreman, Beanitos' founder. "Beans have natural goodness and can still deliver a crunchy texture often called for in snacks." PepsiCo and its Frito Lay business are the worldwide snack leaders, and are reformulating many of their snacks to be healthier. But PepsiCo took a leap into healthier snacking when it acquired Stacy's Pita Chip Co. in 2005. "We believe in hiring food snobs -- because they're the only ones who get it. That's the Stacy's Way. And we're not messing with it," said Kristin Walsh, of Frito-Lay North America, Stacy's parent company. Since the acquisition, Stacy's line of pita chips has grown to the current six varieties, plus three kinds of pita crisps and more recently bagel chips. All carry a health halo that potato chips don't have. "The chefs in our culinary innovation center help us evaluate real foods and flavors to inspire the unique and sophisticated seasonings we select for Stacy's Pita Chips and Stacy's Pita Crisps," Walsh said. "For example, two flavors of Stacy's Pita Crisps we launched last year, C'est La Cheese and Perfectly Thymed, are snacks that satisfy consumers' preferences for something unique and grounded in food. They're baked, they mirror Artisan bread and the flavors feature spices and seasonings found in many home kitchens." "You've never experienced vegetables like this," promises the Terra Chips business unit, Boulder, Colo., of Hain Celestial Group. Terra has pioneered new varieties of potato and vegetable chips that have carved a new niche in upscale natural snacks. Twenty years ago, Terra introduced its Exotic Vegetable Chips – "a seasonal mix of taro, sweet potato, yuca, batata, parsnip, and ruby taro." The brand promises each 1-oz. serving has a full serving of vegetables and no trans fats. They're all-natural and cooked only in expeller pressed oils. Triscuits, the wheat snack tradition since the early 1900s, is advancing in the snack world by adding another grain. The Brown Rice line, 100 percent whole grain brown rice and wheat, comes in varieties ranging from Sweet Potato to Sea Salt and Black Pepper to Red Bean. "We wanted to meet the needs of our consumers," said Abby Conger a spokesperson for Triscuit and parent Mondelez International. Triscuits fall under the Nabisco brand. "They are so loyal to Triscuit and we love our Triscuit enthusiasts. There are changing palates for flavors and wholesome ingredients. I think that people want to know what kind of ingredients they are putting into their body and that is why people like Triscuit so much, it's the ingredients that people can recognize." Nabisco's Wheat Thins and Ritz crackers also have healthier versions, including ones with whole grains. Making between meal excursions better by adding grains and vegetables is commendable, but a necessary goal is to reduce sodium. Although it has been a prized possession since man began to preserve and process food, salt needs to keep falling away from our daily life. The American Heart Association recommends consuming less than 1,500mg of sodium a day; most Americans swallow more than 3,400mg. "It appears the bar is being changed in terms of what is the recommend daily intake for sodium, and that number is going down pretty dramatically," said Don Mower, president and COO of Nu-Tek Food Science, Minnetonka, Minn. "That makes the challenge that much greater for the food industry." And the call for sodium reduction is coming across all platforms. Public health officials, consumers and food processors are calling for change and suppliers are providing solutions. "Food manufacturing designs are focusing around how we can make healthier products," said Janice Johnson, salt food applications technical service leader at Cargill, Wayzata, Minn. "So what are seeing with food manufacturers is a lot more inquires on how I can use this or what kind of products you have to offer for sodium reduction." And as food processors know, removing sodium from the diet isn't as simple as taking a shaker off the table. Bakery, sauces, meats and dairy products yield around 80 percent of consumers' sodium intake. "The big question is how do you get to your sodium targets without compromising things such as the taste, protein modification which gives you texture in products, microbial management and all the things that salt or these other sodium containing ingredients will do," Johnson continued. The challenge for sodium reduction has always been the bitter taste when salt is replaced with potassium chloride. This necessitates the inclusion of flavors and masking agents, which adds expense to created foods. Cargill boasts salt replacement products which it can tailor to any food processing need, its options are: Premier Potassium Chloride, Premier Light Salt 50/50 Blend, SaltWise Sodium Reduction System, FlakeSelect Potassium Chloride Products, FlakeSelect Potassium Chloride/Salt Products and FlakeSelect Potassium Chloride/Sea Salt Products. "Where we really come into play, because salt is pretty ubiquitous it is in everything, is in how we build our program with our customers. We do a kind of back to basic approach. We learn what functional role is of salt in these products," Johnson said. "How do we make solutions that hit a category, for example let's focus on meat, and what is a potassium chloride that fits the meat category. We try the product and figure out critically what is that right amount of potassium chloride that you can be put in that doesn't compromise the taste or the functionality that you are looking for." Reducing sodium has companies battling a kind of "perfect storm," Mower said, since people are relying on more and more processed foods in their hectic lives and at the same time there is the clamor for less salt. "The paradigm if you want to take sodium out of food has been to reduce, replace and enhance," Mower said. "You can take some out, but you can't take too much out because you lose some of the functionality. You may lose your taste profile and you get that bitter metallic note from potassium chloride." Mower believes Nu-Tek Salt Advanced Formula Potassium Chloride has broken the paradigm. Nu-Tek's product uses a wet chemistry process to make single-crystal processing. "It blocks bitterness of traditional potassium chloride. You can then use potassium chloride at a much higher level and just replace it and use it on a one-to-one basis with salt. Now you can take out 40-50 percent of your salt and replace it and get dramatic sodium reduction levels. You just do it once and you're done. So it really has a ‘wow' factor to it and we believe shifts the paradigm of how food manufacturers can effectively address the sodium reduction needs facing all of us." Both companies urge food producers to put their science and staff to the test and let their troops help in the war on salt. In the world of snack foods, palates are changing and calling for new and vibrant flavors. Snacks are not just an afterthought, but a planned part of the daily diet. Health in snack foods is on the forefront of consumers and thus producers' plates. There's a new attitude for snack food. It may be summed up best by Walsh. "At Frito-Lay," she said, "we're looking at our snack brands through a lens of innovation and elevation."